Tarek Atrissi was invited together with 23 Internationally renowned designers to participate in a open air poster exhibition curated by New York based designer Mirko Illic. The list of invited artists included legendary designers such as Paula Scher, Milton Glaser, Reza Abedini and many others. Under the theme of “tolerance”, each designer was asked to design a billboard-size poster to be exhibited in the beautiful square of Ljubljana city in Slovenia for the exhibition opening as a start, and to further travel around the world for display at different design venues. 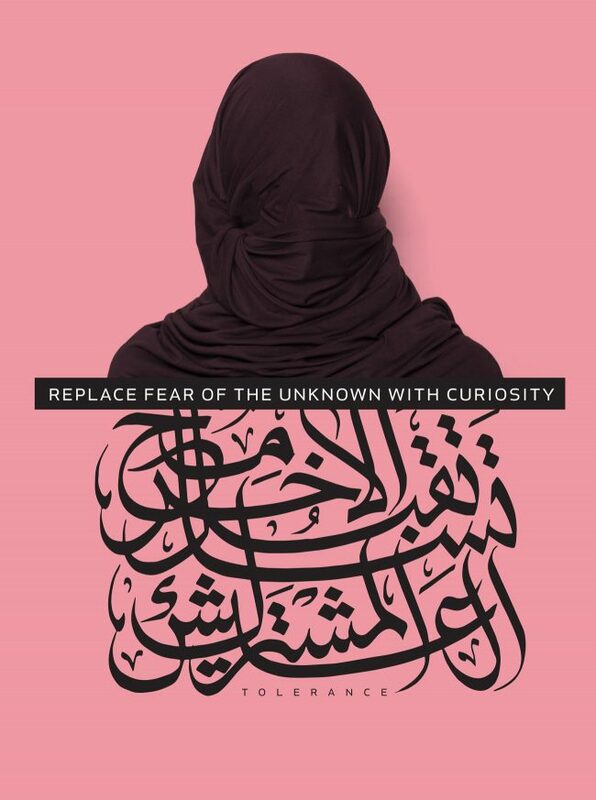 The poster design of Tarek Atrissi was a simple graphic interpretation of a striking quote on finding tolerance: “Replace the fear of the unknown with curiosity”. An image of a fully veiled head of a woman was used as a visual example. There is often so much negativity wrongly associated with such an image: people tend to relate this visual to oppression, extremism, or terrorism. They forget that this can be also a free choice, a tradition, a belief, a different perspective. The “unknown” can be a wonderful difference with so much cultural richness. Only a curious and tolerant mind can unveil the human universal similarity. Our poster design was covered in Print Magazine, AIGA’s eye on design, The Daily Heller, and Dutch Design Daily, among many other design press outlets. 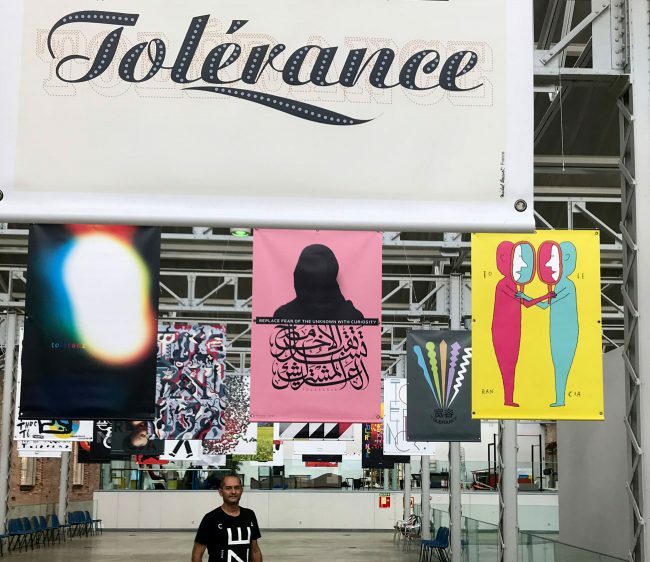 The poster went further on exhibition as part of the “Tolerance show” in more than 10 countries, including Spain, USA, Dominican Republic, Serbia, Slovenia, the Netherlands, and Montenegro; and in venues such as Seattle Design Week, Graphic Matters Breda, and Madrid Grafica. Our poster design however got so much attention after it was vandalized at the first exhibition opening. Ironically, our “tolerance” poster for the “tolerance” exhibition, did not make it through the first night of the exhibition in Slovenia. Someone did not tolerate the poster and its positive message and vandalized it. We took this attack on our design as the biggest design compliment! Out of all posters exhibited, only our poster managed to provoke someone, just by seeing a veiled woman and an Arabic text. The “intolerant” rushed to miss the main message of the poster, and put the eye catchy veiled woman photography out of its context. They forgot that this can be also a free choice, a tradition, a belief, a different perspective. The “unknown” can be a wonderful difference with so much cultural richness. Only a curious and tolerant mind can unveil the human universal similarity.